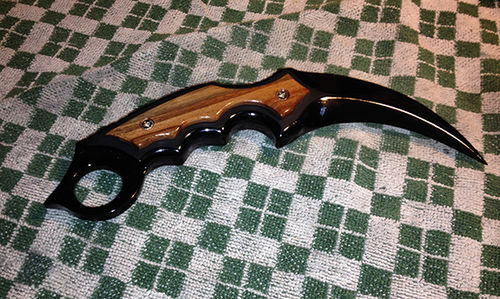 My girlfriend’s brother has been jealous of a real karambit I forged to her….. Unfortatunately hes only 10 but because Christmas is coming and his birthday os December 20th I decided to make him a wood karambit. I used pine which wasnt the best choice but for now it holds. That turned out real nice. I had to find out what it was. 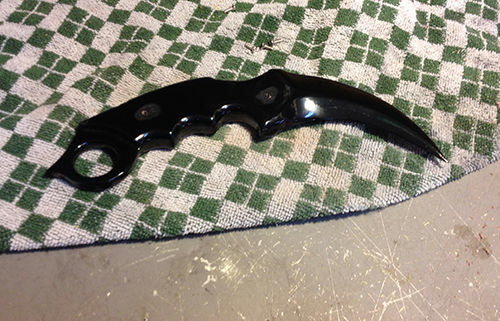 Here is what Wikipedia says :Southeast Asian curved knife resembling a claw. Even a pine one could do some real damage from the looks of it. A little too young to receive this in my opinion….......good luck. I’ve carried a pocket knife since about 2nd grade… is that too young? I never threatened anyone with it either. I carried my target rifle to school on the bus and put it in my locker for rifle club in high school. Never had a moment’s trouble. It’s not the rifle or the knife that’s the problem. 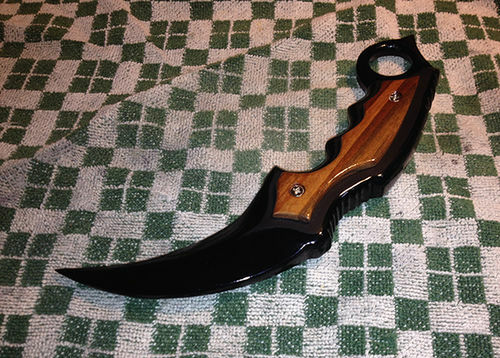 That’s a cool knife. Nice work. Congrats on your DT3. I made one for my son a couple of years ago out of hickory and added some paint to try and make it look real by adding handles/grips. 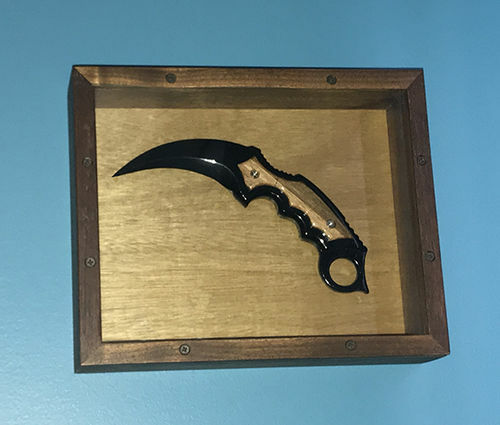 Even though it’s wood, it’s dangerous so I made a display box for him to hang it on his wall. Congrats on your DT3. I made one for my son a couple of years ago out of hickory and added some paint to try and make it look real by adding handles/grips. 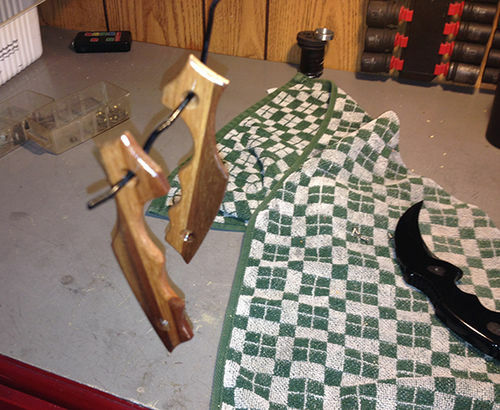 Even though it s wood, it s dangerous so I made a display box for him to hang it on his wall. Not into the martial arts but that is unusual. Times have changed and not for the better. I did a fishing demo for a daycare. I asked about doing one for archery but I was told the state doesn’t allow weapons in schools. North Carolina schools can’t even have dummy firearms for Hunter Education class. Instructors use a one inch dowel with one end painted orange.